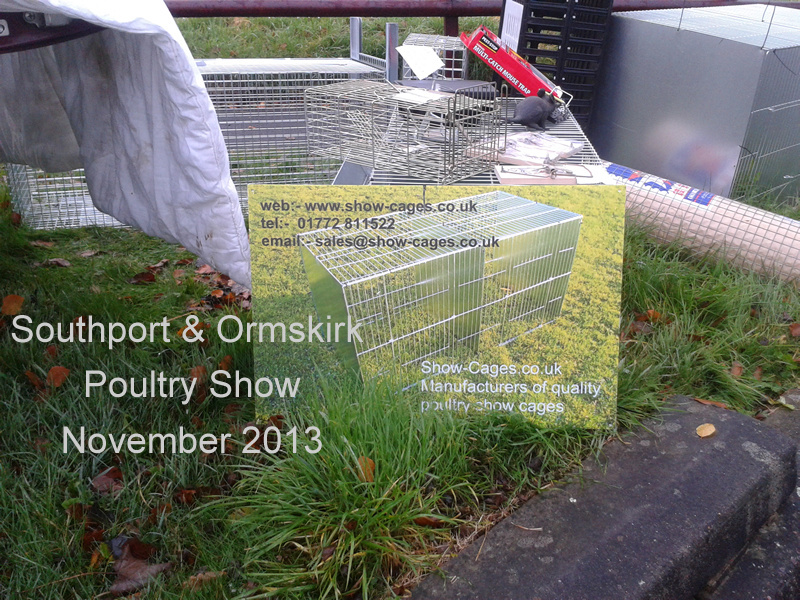 Cheap to look after, expensive to buy! 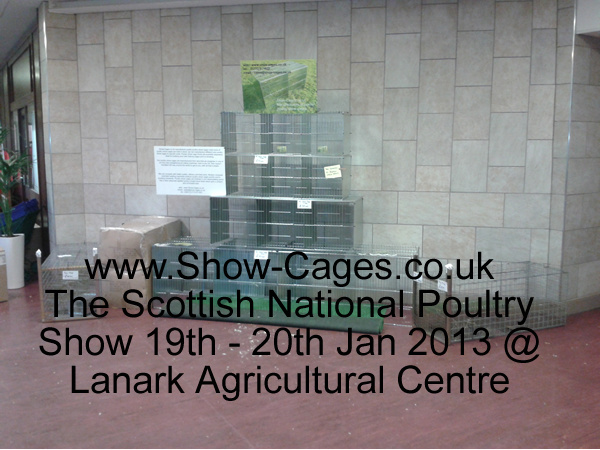 The forecast was none too good, met office advised people not to travel unless urgent, we as usual didn't take any notice and set of early Friday, the weather followed us up to the border then petered out. 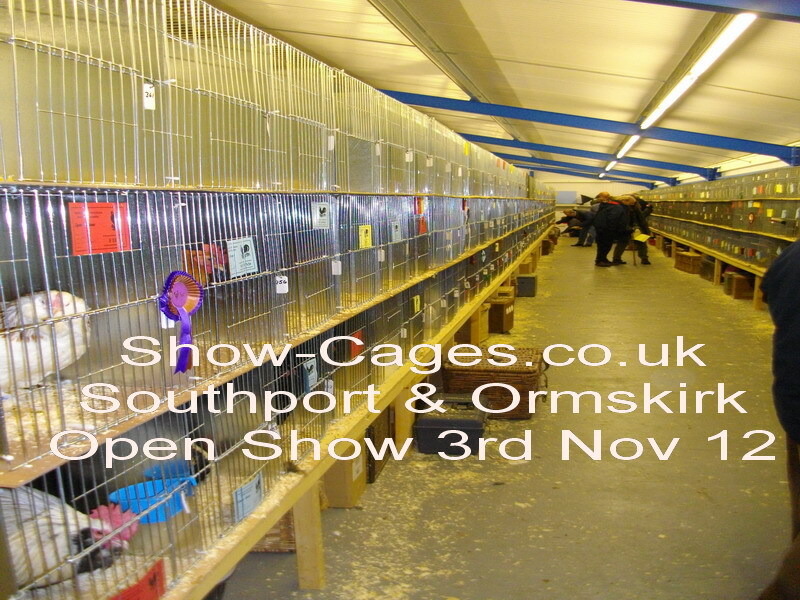 The weather put a dampener on entries and visitor number but well worth the time. 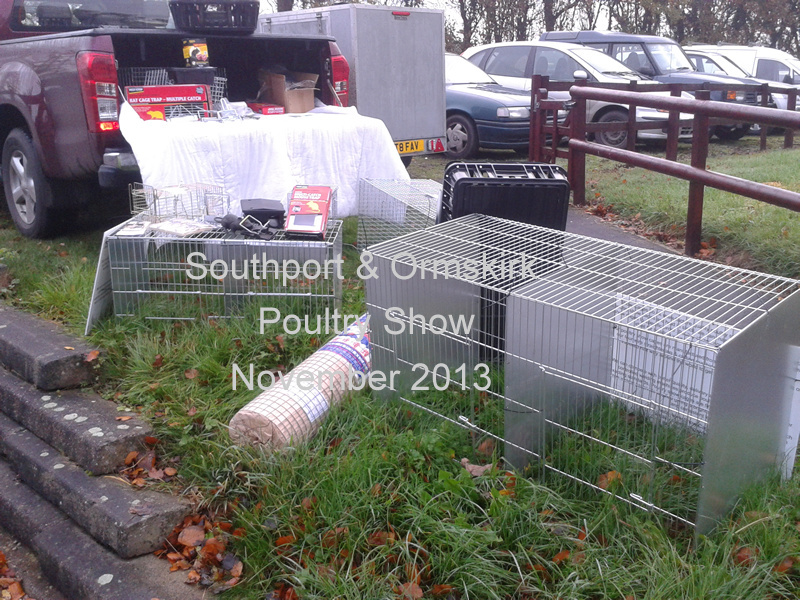 Made welcome by all involved, bitterly cold outside not too bad on the Sunday with the chickens, ducks, geese and turkey's helped along by a good following of visitors, proper cup of tea with scones, kept us going. 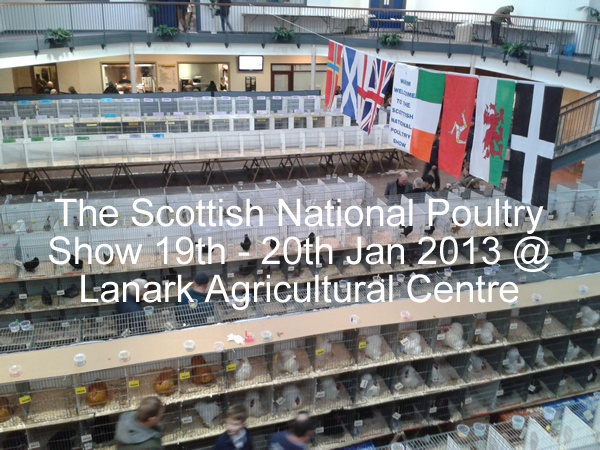 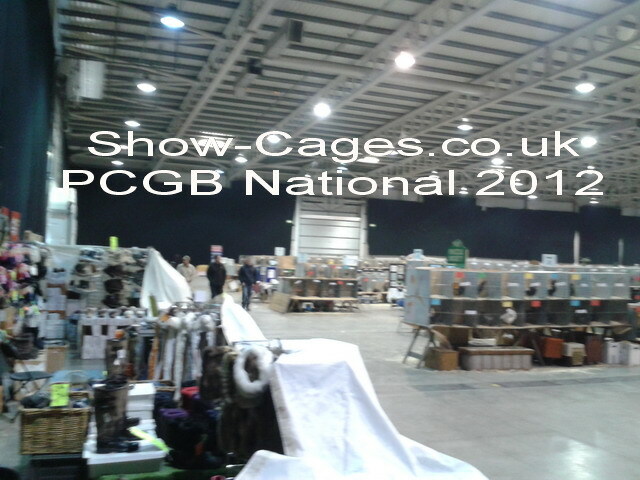 Many thanks to all concerned especially Mr Alan Davis's crew giving me the opportunity to stand at their national show. 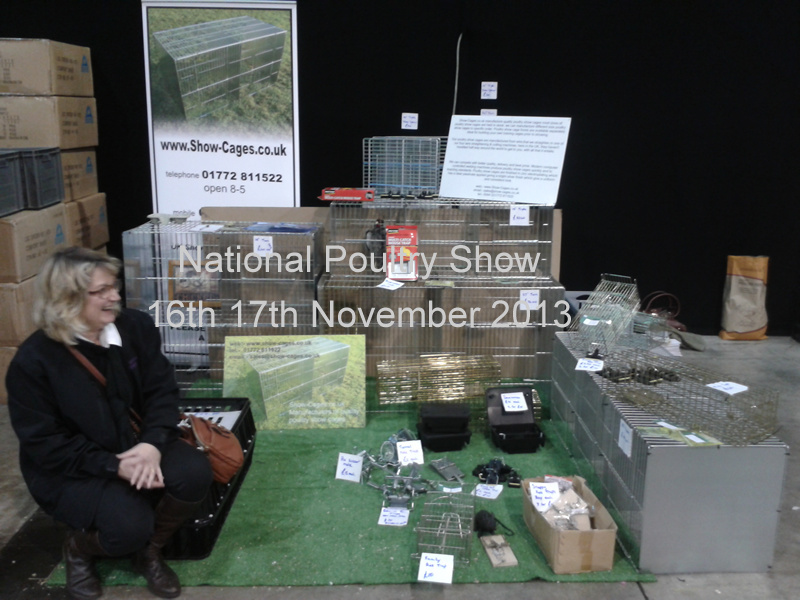 Good day on the Saturday but we were up late...7am! 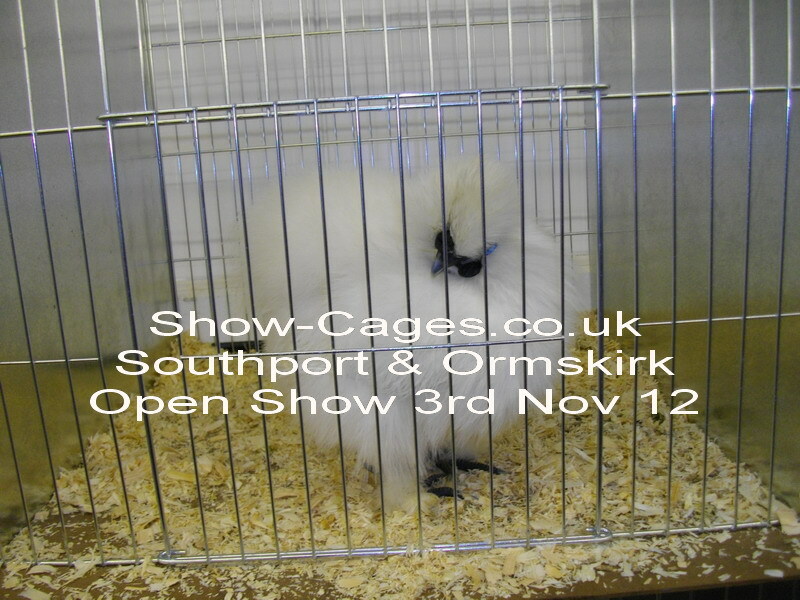 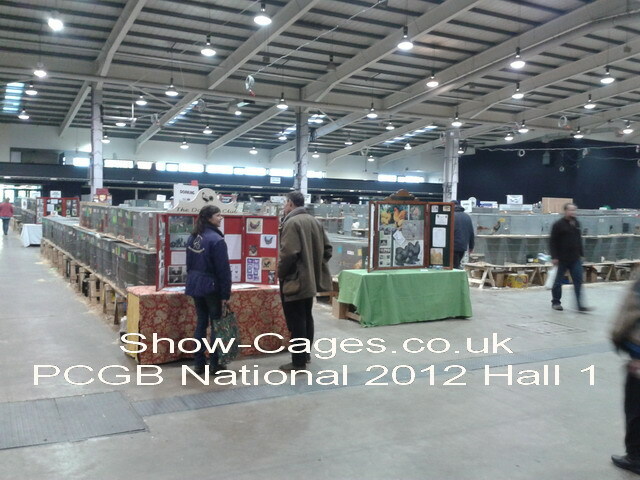 and missed the considerable interest before the show opened to the public......we live and learn! 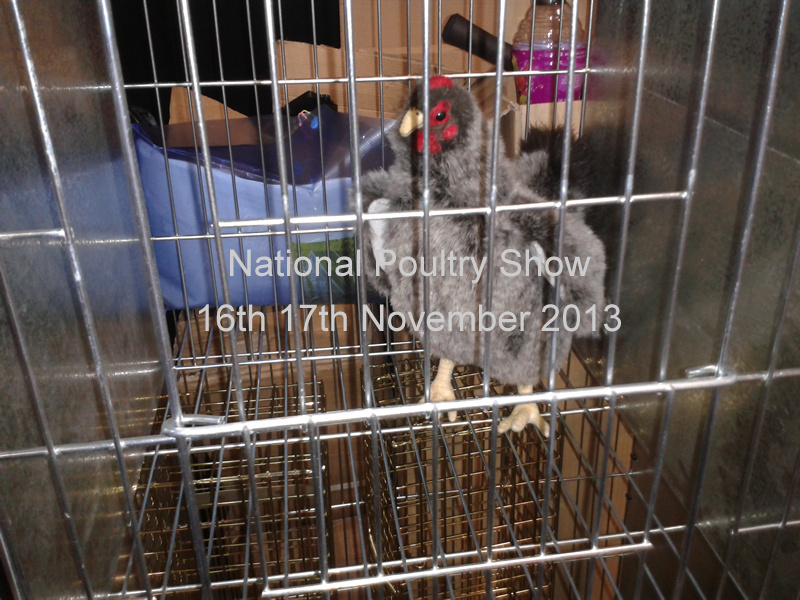 Stayed at Buttercross B&B in Abbotts Bromley, lovely place all credit to Jayne. 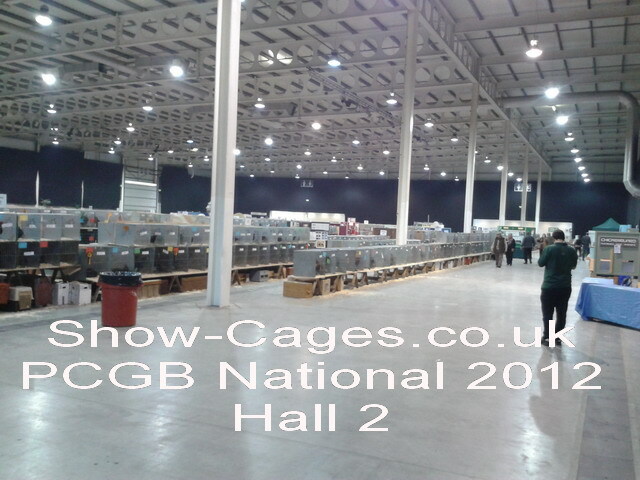 Saturday morning was manic even with wifey in tow I missed chatting to loads, our show cages "sold like hot cakes" until lunch then slowed, still managed to get some good contacts and meet a few familiar faces. 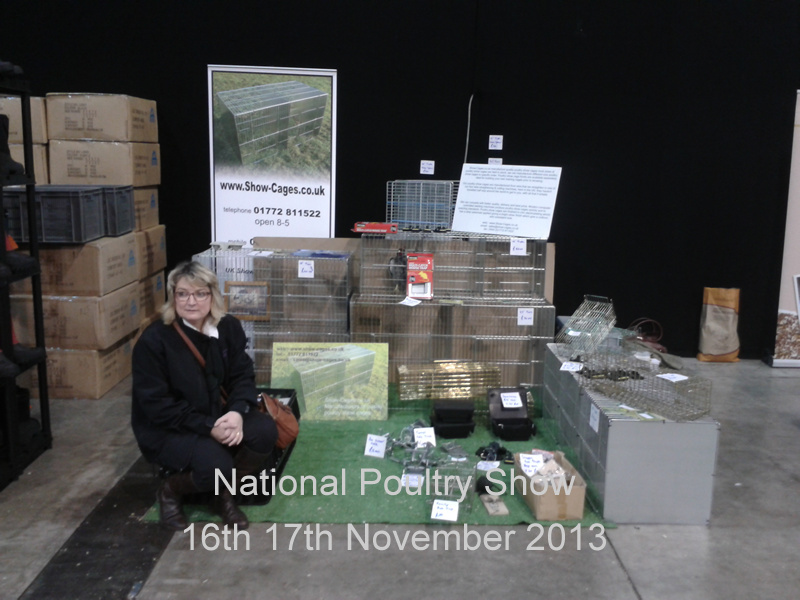 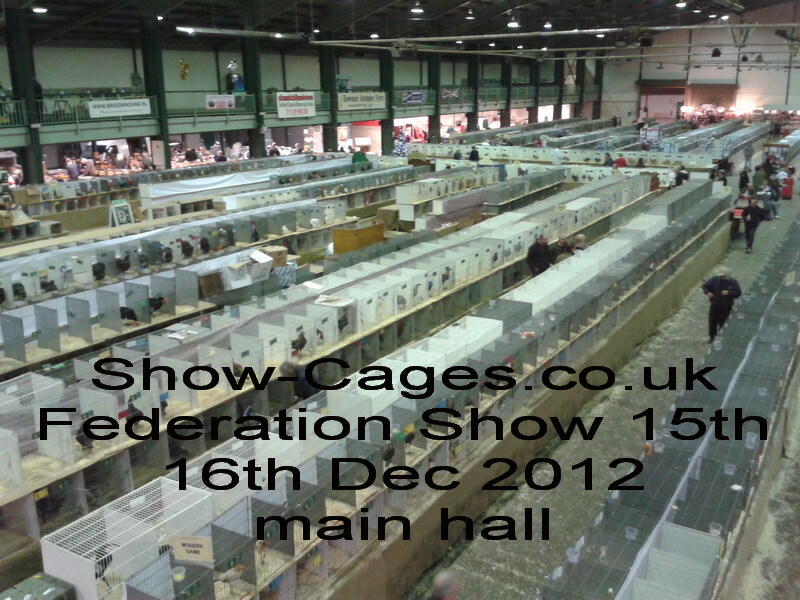 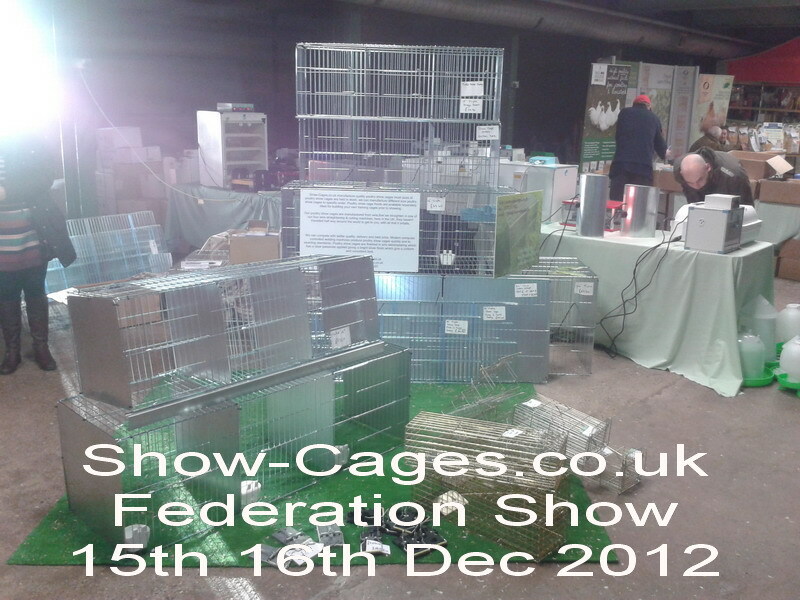 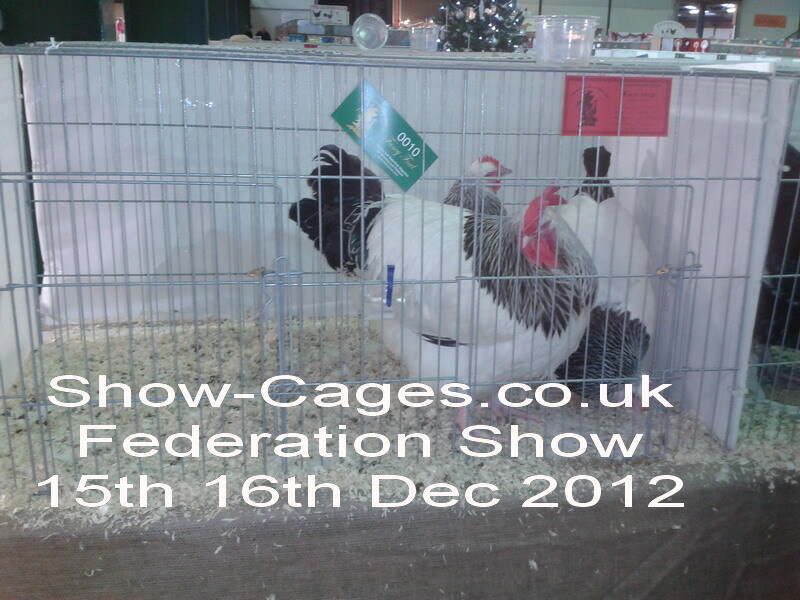 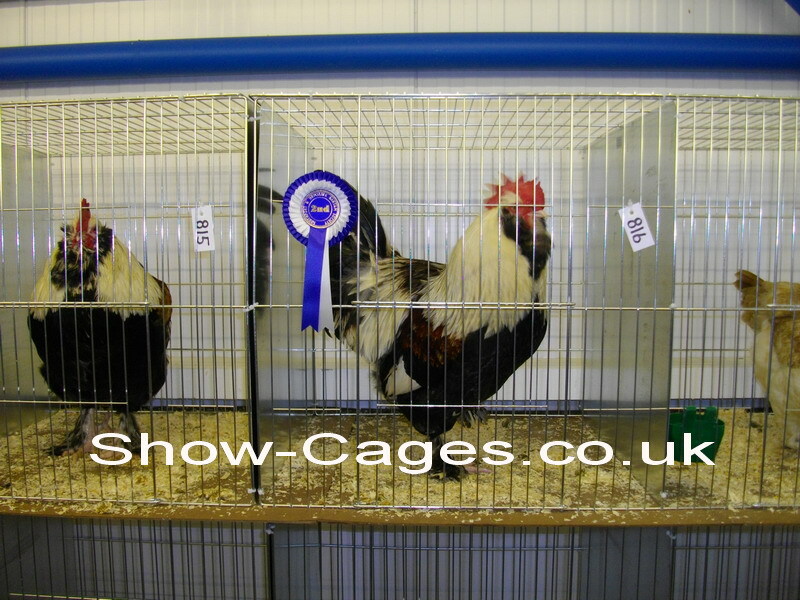 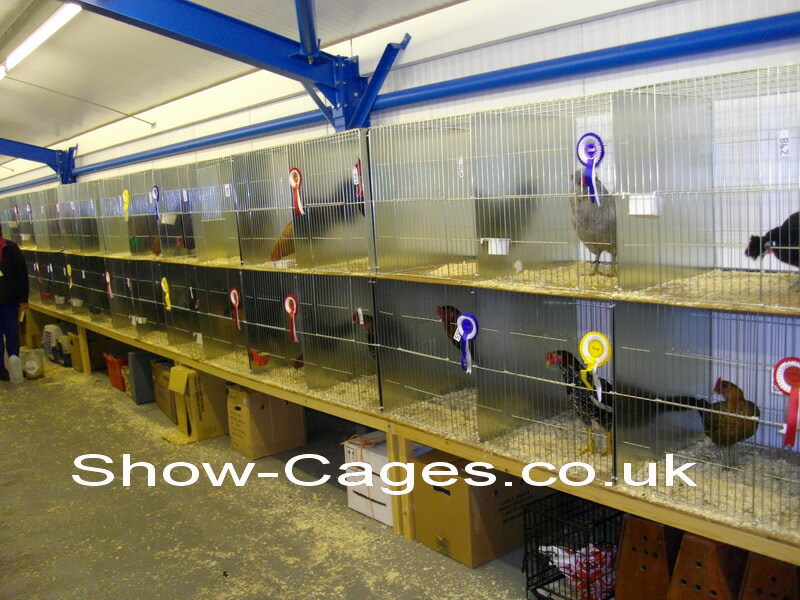 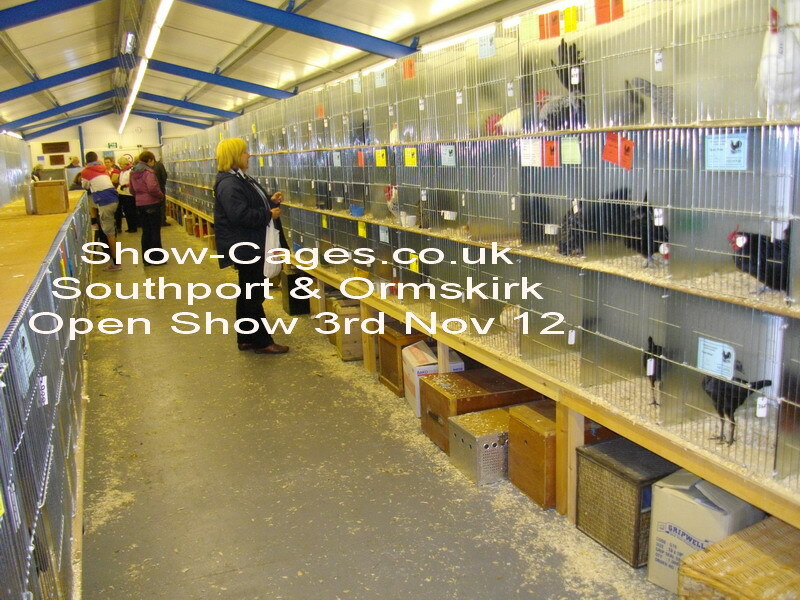 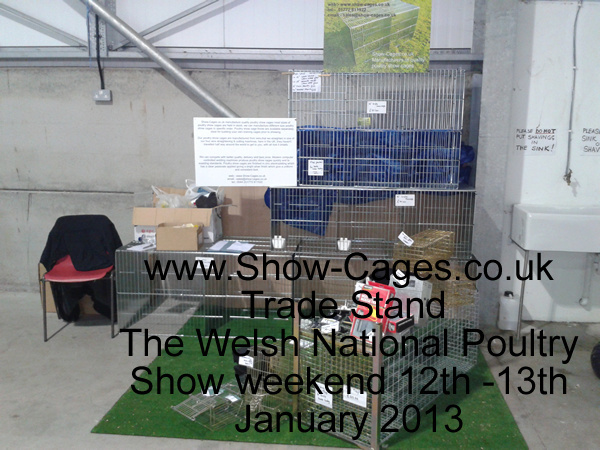 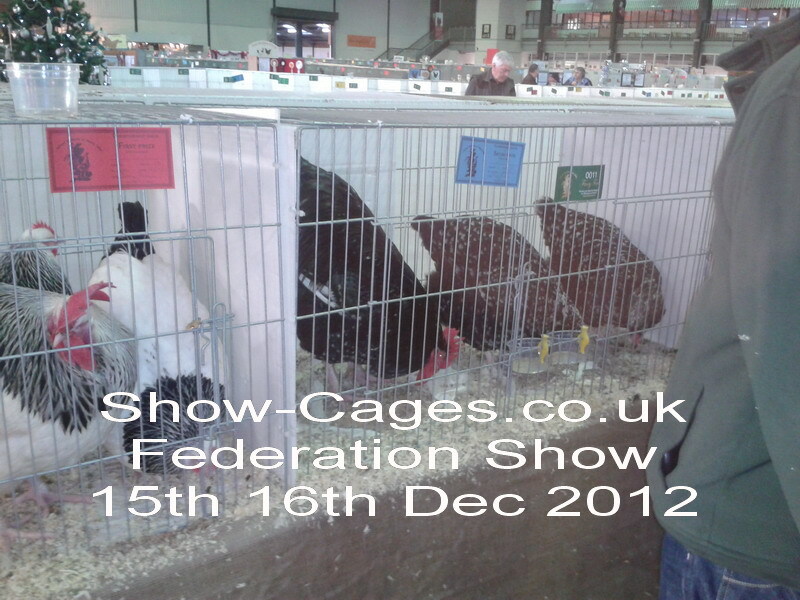 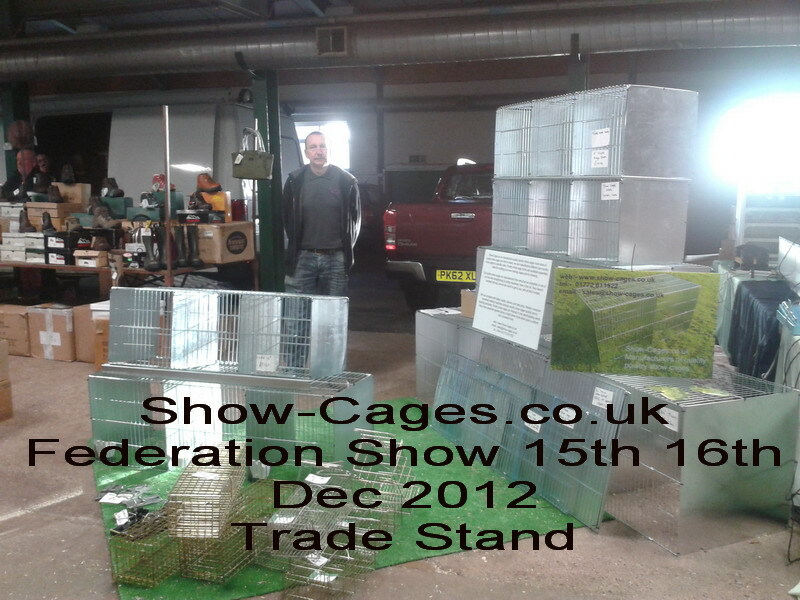 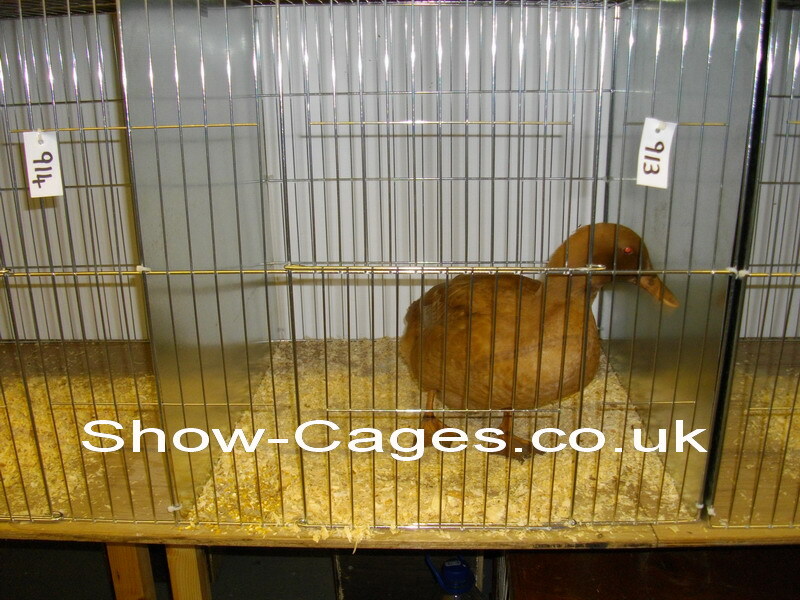 federation show 2012 Show-Cages.co.uk trade stand with a miserable beggar looking out. 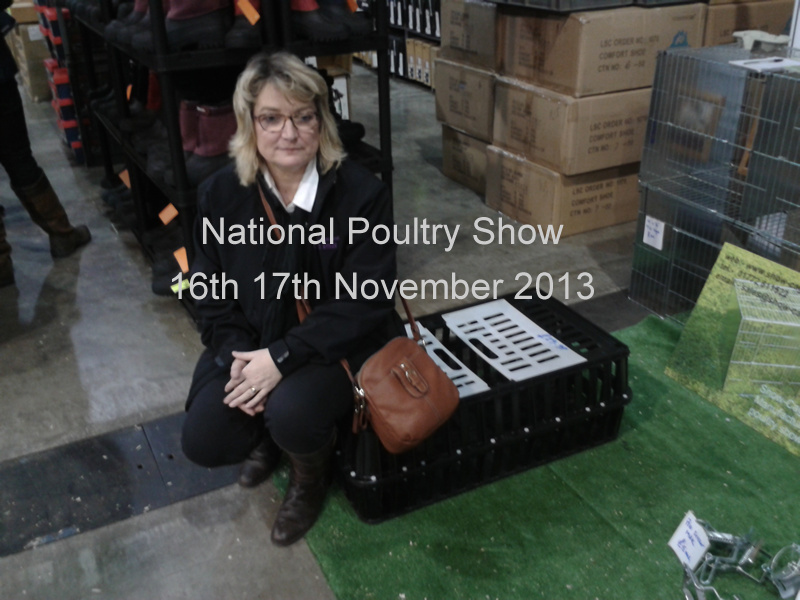 Wifey had Her eye on the green bag on the adjacent boot stall, but bought a faux fur headband instead. 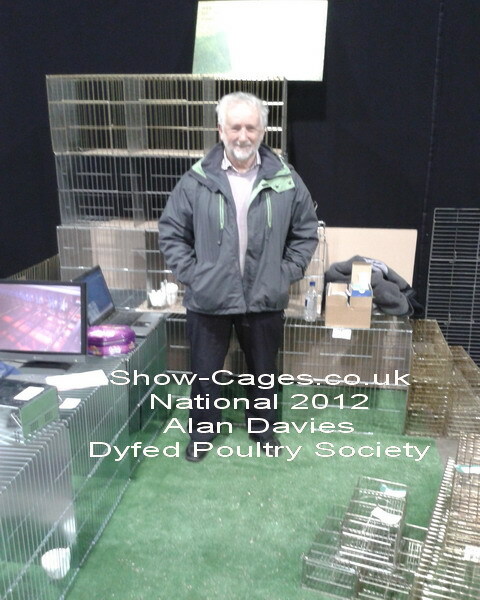 Alan Davis, Dyfed Poultry Society visiting our stand, checking the quality of our show cages before placing an order, many thanks Alan. 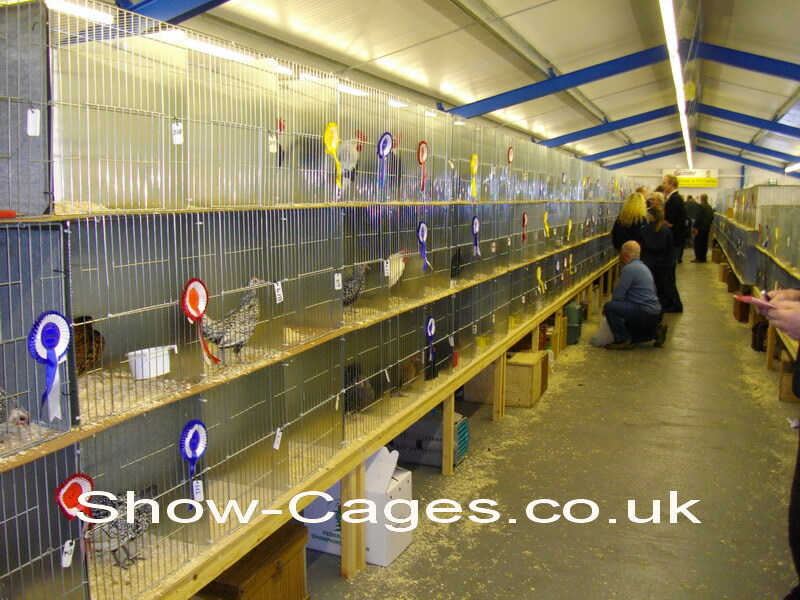 Good turnout over 700 entries, lots of visitors, Thanks to Harry & the committee members, special thanks for allowing Show-Cages.co.uk to try a trade stall at the entrance, also best bacon butties around, Janet & her team.